Hi there! 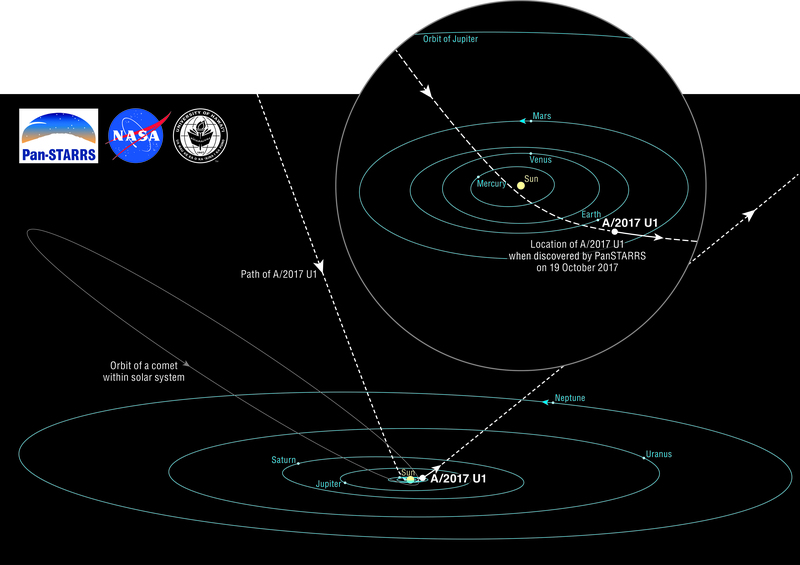 You may have heard this week of our Solar System visited by an asteroid probably formed in another planetary system. This is why I have decided to speak about it, so this article will not be based on a peer-reviewed scientific publication, but on good science anyway. The name of this visitor is for now A/2017 U1. Comparing in with the objects, which are known to be in that field. Oct. 19, 2017: Robert Weryk, a researcher of the University of Hawaii, discovers a new object while searching for Near-Earth Asteroids with the Pan-STARRS 1 telescope. An examination of images archives revealed that the object had already been photographed the day before. Oct. 25, 2017: The Minor Planet Center (Circular MPEC 2017-U181) gives orbital elements for this new object, from 34 observations over 6 days, from Oct. 18 to 24. Surprisingly, an eccentricity bigger than 1 (1.1897018) is announced, which means that the trajectory follows a hyperbola. This means that if this object would be affected only by the Sun, then it would come from an infinite distance, and would leave us for infinity. In other words, this object would not be fated to remain in our Solar System. That day, the object was thought to be a comet, and named C/2017 U1. 10 observation sites were involved (once an object has been detected and located, it is easier to re-observe it, even with a smaller telescope). Oct. 26, 2017: Update by the Minor Planet Center (Circular MPEC 2017-U185), using 47 observations from Oct. 14 on. The object is renamed A/2017 U1, i.e. from comet “C” to asteroid “A”, since no cometary activity has been detected. Same day: the press release announcing the first confirmed discovery of an interstellar object. New estimation of the eccentricity: e = 1.1937160. Oct. 27, 2017: Update by the Minor Planet Center (Circular MPEC 2017-U234), using 68 observations. New estimation of the eccentricity: e = 1.1978499. And this is our object! It has an absolute magnitude of 22.2 and a diameter probably smaller than 400 meters. 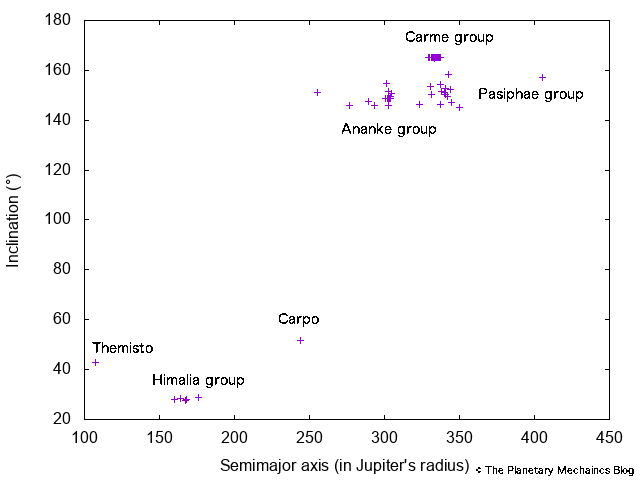 These days, spectroscopic observations have revealed a red object, alike the KBOs (Kuiper Belt Objects). It approached our Earth as close as 15 millions km (0.1 astronomical unit), i.e. one tenth of the Sun-Earth distance. The trajectory of A/2017 U1. Calculations indicate that A/2017 U1 comes roughly from the constellation Lyra, in which the star Vega is (only…) at 25 lightyears from our Sun. It is tempting to assume that A/2017 U1 was formed around Vega, but that would be only speculation, since many perturbations could have altered its trajectory. Several studies will undoubtedly address this problem within next year. Here we have an eccentricity, which is significantly larger (some 20%) than 1. 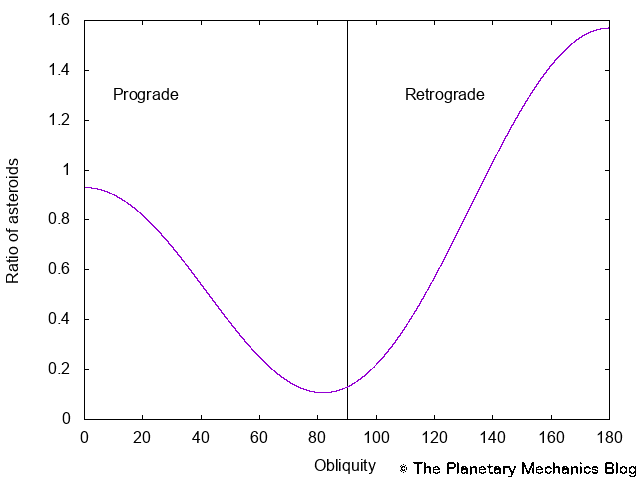 Moreover, our object has a very inclined orbit, which means that we can neglect the perturbations of its orbit by the giant planets. In other words, it entered the Solar System on the trajectory we see now. But a Solar System object can get a hyperbolic orbit, and eventually be ejected. This means that when we detect an object with a very high eccentricity, like a long-period comet, it does not necessary mean that it is an interstellar object. In the past, some known objects have been proposed to be possible interstellar ones. This is for example the case for the comet C/2007 W1 (Boattini), which eccentricity is estimated to be 1.000191841611794±0.000041198 at the date May 26, 2008. It could be an IC (Interstellar Comet), but could also be an Oort cloud object, put on a hyperbolic orbit by the giant planets. A/2017 U1 object has been detected by the Pan-STARRS (for Panoramic Survey Telescope and Rapid Response System) 1 telescope, which is located at Haleakala Observatory, Hawaii. Pan-STARRS is constituted of two 1.8 m Ritchey–Chrétien telescopes, with a field-of-view of 3°. This is very large compared with classical instruments, and it is suitable for detection of bodies. It operates since 2010. Detections could be expected from the future Large Synoptic Survey Telescope (LSST), which should operate from 2022 on. This facility will be a 8.4-meter telescope based in Chile, and will conduct surveys with a field-of-view of 3.5°. A recent study by Nathaniel Cook et al. suggests that LSST could detect between 0.001 and 10 interstellar comets during its nominal 10 year lifetime. Of course, 0.001 detection should be understood as the result of a formula. The authors give a range of 4 orders of magnitude in their estimation, which reflects how barely constrained the theoretical models are. This also means that we could be just lucky to have detected one. What Pan-STARRS can do, LSST should be able to do. In a few years, i.e. in the late 2020s, the number or absence of new discoveries will tell us something on the efficiency of creation of interstellar objects in the nearby stars. Meanwhile, let us enjoy this exciting discovery!